Adesso Aries Collection 2-Light floor lamp in brushed steel finish, features steel base construction. White acrylic shade brings elegance to the home. This modern chik style lamp uses two 150-Watt incandescent bulbs. 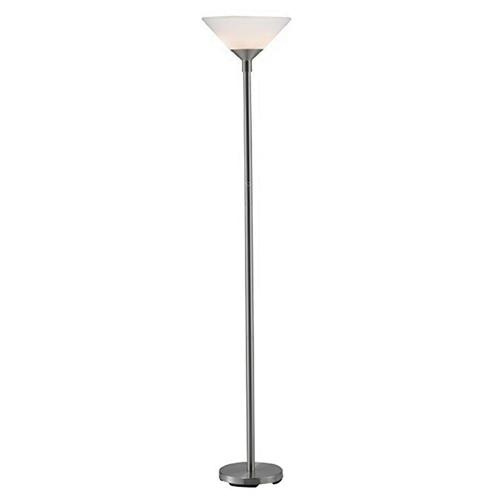 Floor mountable lamp measures 14-Inch x 73-Inch.